Kim Kardashian headed to Vegas on Saturday to meet her fans at her new perfume GLAM launch. The destination may seem a little surprising, with six months pregnant Kim Kardashian having previously revealed she has been advised to slow down by her doctors. 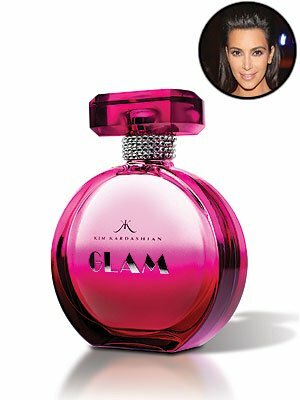 Instead the business-minded Kim Kardashian plans to meet her fans and sign a few autographs, and hopefully flog some bottles of her new perfume while she’s at it. Kim Kardashian explained on her blog: “Hey dolls, I cannot believe I finally get to hang out with you guys tomorrow! I am beyond pumped to see your gorgeous faces. The 32-year-old reality star showed off her pregnant shape in not one but two great outfits, which flattered her new curves. To meet her fans in Las Vegas Kim Kardashian wore a pretty red lace dress. With a high neckline and delicate detailing the dress was conservative and yet suitably festive. Teamed with matching red lipstick and an attractive plaited hairstyle, the outfit was attractive and feminine. Earlier Kim Kardashian had dressed her pregnant shape in a lacy silk vest top that skimmed her bump while revealing her new curves. Teamed with skinny jeans and a jacket to balance her shape, Kim Kardashian looked perfectly put together.